Medium weight cotton/poly blend hoody featuring peagasus logo on back and Grace Potter print on left chest. 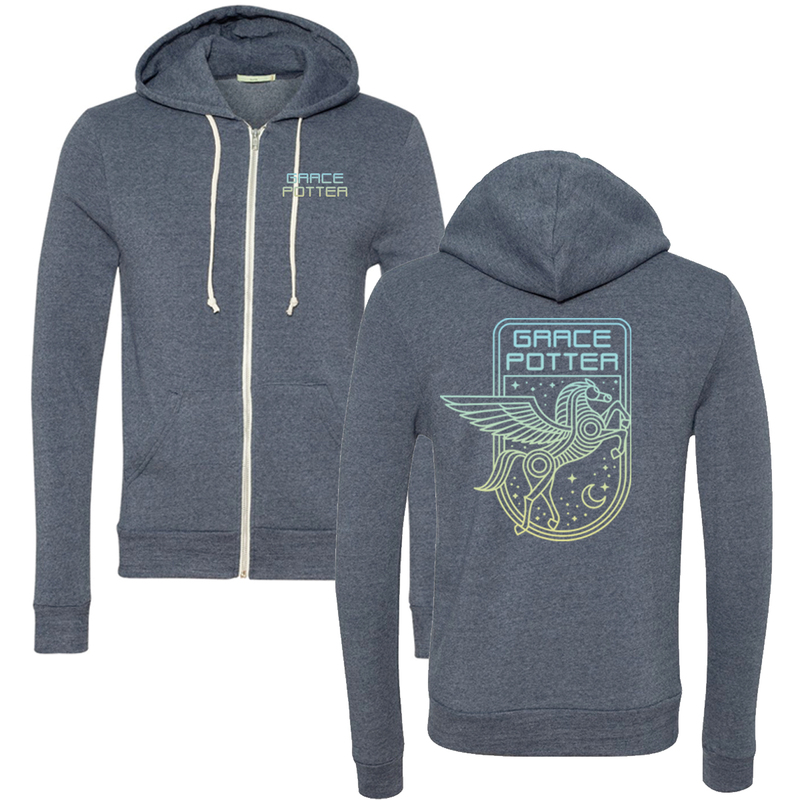 I have been listening to Grace Potter for over 10 years and have been waiting for the perfect sweatshirt to buy. This is it! I love this. It is so comfortable, and I just love the Pegasus on the back...Pure magic, like Grace in concert. Get one before they are gone. Super soft and cozy. My new favorite hoodie. Great quality and arrived quickly.